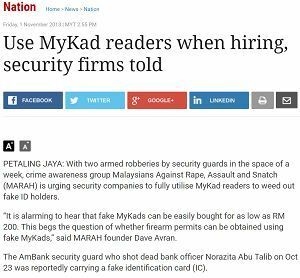 All news related to MYKAD and security. MYKAD SDK on Internet Explorer Only? Yes. Our MYKAD SDK support Microsoft Internet Explorer only due to windows operating system security. ActiveX can be called via IE only! Get our #10:OPENWEB for multi browser type support especially Chrome! Can we get MYKID Info? No. Currently our MYKAD SDK and Reader support MYKAD only. Not MYKID. 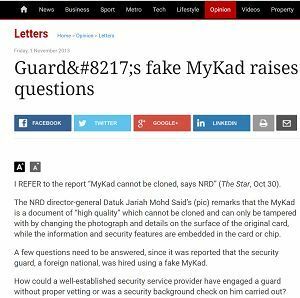 MYKID is Malaysia Identity card for kid below 12 years.